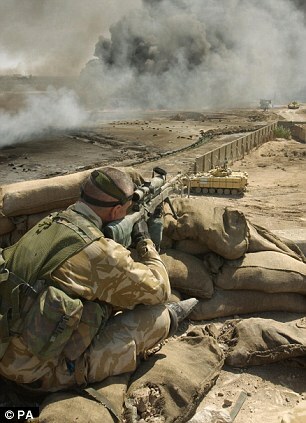 HERO BRIT SOLDIER KILLS FIVE TALIBAN IN 28 SECONDS……! – The Tundra Tabloids……. HERO BRIT SOLDIER KILLS FIVE TALIBAN IN 28 SECONDS……! A British Army sharp shooter has told how he killed five Taliban soldiers in 28 seconds – in a desperate bid to protect a British patrol that the insurgents were preparing to ambush. The enemy targets were more than a mile away when the sniper, a corporal serving with 4 Rifles, got the all clear to take them out. The corporal – who has 37 confirmed kills in just four months in the war zone – said that he and his spotter were set up in an old fort in Haji Alem, in the Nad-e Ali district of Helmand province. They spotted the Taliban soldiers getting ready to attack a British foot patrol. The sniper, who has not been named for security reasons, was using the L115A3 long-range rifle, which has an effective range of 1,100 metres. With the Taliban soldiers on the verge of engaging the British foot patrol at least 1,600m away, the corporal had to draw on every ounce of his ability. He requested permission to fire from his superiors – a battlefield requirement if the enemy had not yet opened fire – and was given the ‘weapons free’ order. He told The Sun: ‘I engaged with the first insurgent. It took me nine rounds but I took him down with the ninth. Then the other four had moved closer, so I took them down as well. They were taken down in the next 28 seconds’. Previous Post Previous Post RUSH LIMBAUGH: WOULDN’T IT BE NICE IF WE TREATED MUSLIM EXTREMISTS THE WAY OBAMA IS TREATING BRITISH PETROLIUM……..
Next Post Next Post FORMER FINNISH PRESIDENT AHTISAARI DENIES ANY INTENTION FOR ANY M.E. MEDDLING…….